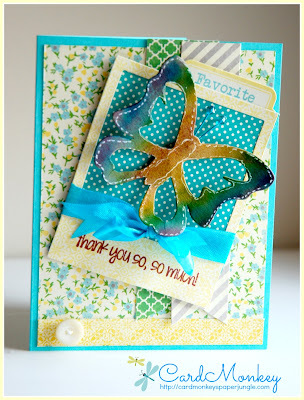 CardMonkey's Paper Jungle: Rumple Ribbon Thursday - Thank you! Rumple Ribbon Thursday - Thank you! Hi, friends ... It's Ellen CardMonkey here, and it's Rumple Ribbon Thursday. I'm excited to show you this card for several reasons. First of all, I was able to use several different techniques and supplies on this card that just made me smile. And secondly, I'm writing this post WAY ahead of time because I'll be on vacation when this is posting ... and that it's up means that I'm enjoying myself in Disney World with my hubby, daughter/son-in-law and granddaughter Charlotte! Let me tell you how I made this card. 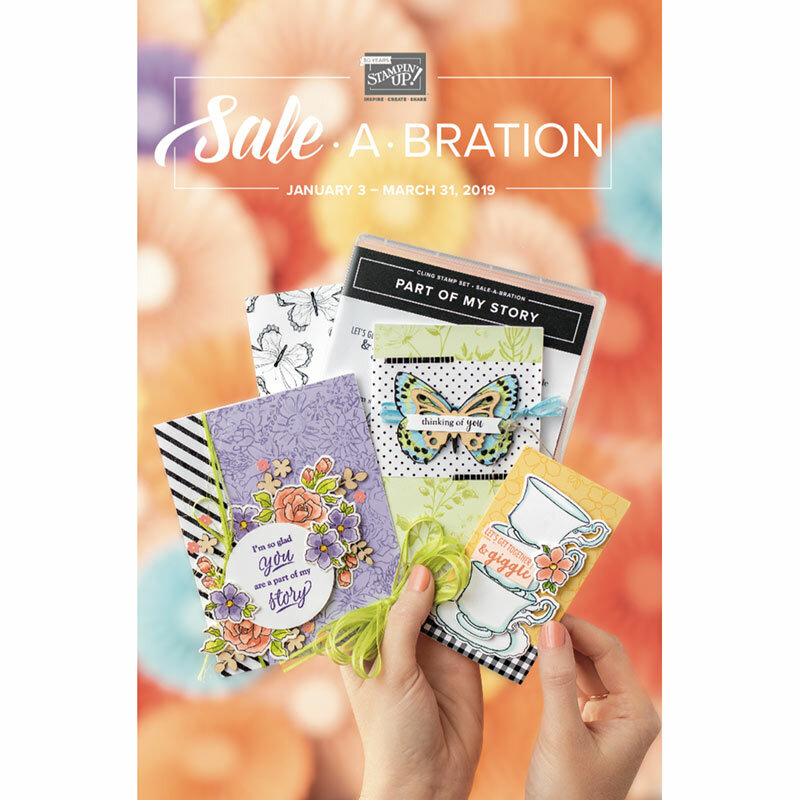 I used Jillibean Soup papers and patterns found in the April Card Kitchen kit. Do you like kits? I do because it gets my Mojo going, and I usually can change it up to suit my own style. 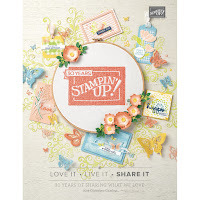 In this case, instead of using the "ordinary" ribbon, I substituted Lovebug Creations' Rumple Ribbon in Caddy Blue. Isn't it just perfect!? 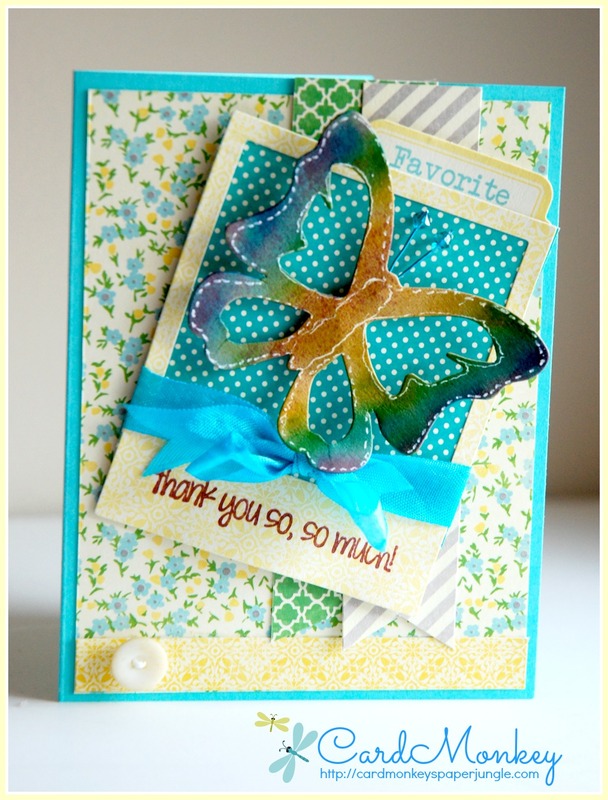 The kit provided a simple kraft die cut butterfly to use. I wanted something with a little more zing, so I pulled out my Copics ABS (Air Brush System) and airbrushed the butterfly in turquoise, purple, yellow, brown and green. I then used a white gel pen to add definition. Can you see the cute antennae? They're turquoise electrical wire topped with Swarovski beads. I hope you try these techniques and enjoy them! This is gorgeous Ellen! I hope you're having a blast in Disney World!! You are something else! First, I LOVE Caddy Blue. It's so bright and fun! The airbrushing on the butterfly is spectacular! Love it!!! So glad you had fun at Disney. I bet you'll be happy to settle in at home. I love to cut ribbon "tails"...superb card!!! Rumple Ribbon Thursday: Happy Memorial Day! Rumple Ribbon on a Masculine Card -- Really! !